Suckler cow numbers in Northern Ireland are the lowest since 1988, painting a 'disturbing picture' for the future of the beef sector in the region. The latest figures from the Department of Agriculture (DAERA) shows a 30-year-low of suckler cow numbers in Northern Ireland. The beef sector now fears that this trend will only escalate until farmers receive a fair price. According to the National Beef Association (NBA), costs are continuing to rise which is raising 'serious questions' about the sector's viability. Meanwhile, figures from DAERA's December 2018 agricultural survey shows a reduction of 5% on number of suckler cows from the 2017 figures. At a count of 245,100, this is the lowest number recorded in Northern Ireland since 1988. “Processors have been filling cold stores in anticipation of a worst-case scenario and pre-empting a lack of imported beef, effectively looking after themselves,” Mr Ritchie added. Farmers fear that this is actually having the opposite effect and is creating over-supply, which in turn drives prices down. Weather conditions have compounded the situation, and the end-result is that farmers are being left behind due to lack of profits. Because of this, many beef farmers have moved to dairy, or have simply stopped due to concerns on increased costs and reduced prices. “It ultimately comes down to lack of profit and rising costs of all inputs and the mediocre margins left by these unsustainable prices,” Mr Richie said. 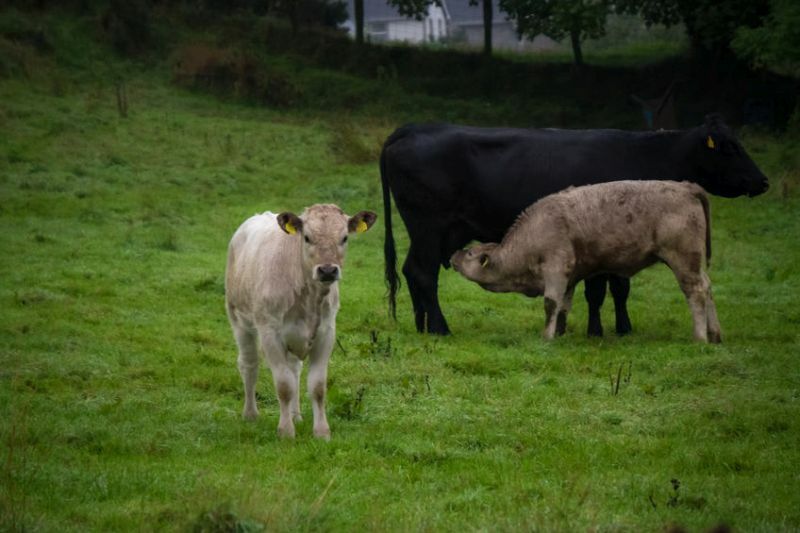 Northern Irish beef farmers have long faced trailing behind British prices, with the argument being that the reduction reflects the additional cost of getting NI beef into Britain. However, according to the NBA, the numbers do not add up, and the difference between NI and GB prices is far higher than the associated transport costs. While there are on-going discussions on trade post-Brexit, the NBA is calling for a 'joined-up approach' to ensure the future of the NI beef industry. The group fears that the future of the NI beef sector is at risk as more beef producers look to other avenues to return a profit.